This clever bracelet is made with small thin washers joined as they are made. I love the lace design which gives this bracelet the appearance of something truly elegant. Size 20 crochet cotton in white. Cebelia was used in the example. 9 washers ½" diameter 1mm thick with a hole 4mm diameter. 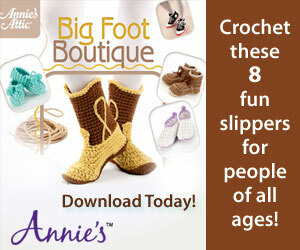 These cute crochet slippers look like sneakers! Complete with laces and soles, this makes a great gift for sports enthusiast! "Large, warm and cozy shawl to liven up dreary winter days" This lovely scarf from Drops Design is sure to impress! I love the over-sized squures and the fringe detail. 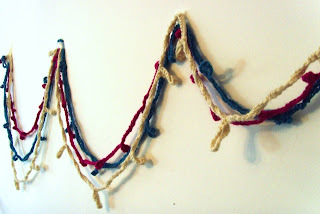 Make this garland a New Year's eve decoration by using various colors of your choice. 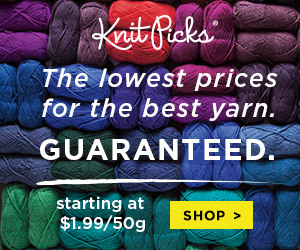 Add some sparkle by using metallic yarns, or thread! Quick and easy, lots of time to make this before the New Year! Look at this sweet crochet teddy bear! Simple and fun, any child would love to give this little teddy bear a home! These perfect crochet poinsettia coasters are the perfect accent for your holiday entertaining! Yarn : light worsted DK, red and green (about 40g of each to make 6 coasters). Use heavier yarn weight for bigger coasters. 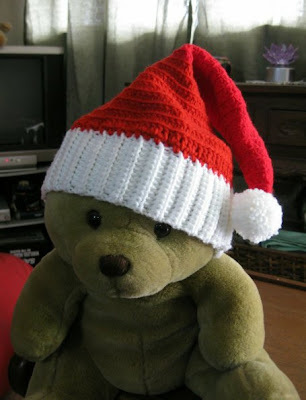 Don`t forget to spread some holiday cheer by making a cute Santa hat! 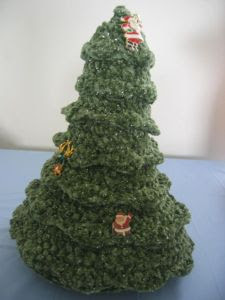 A lovely crochet tree skirt brings charm and warmth to your home for the holidays! Victorian: 36 Ounces 313 Aran CA, 11 ounces 376 Burgundy CB, 5 ounce 389 Hunter CC. Crochet Hooks: 6mm [US J-10] and 5mm [US Size H-8]. 264 5mm and/or 6mm silver (or gold for Victorian) beads. "Do these belong to a Russian ballerina? 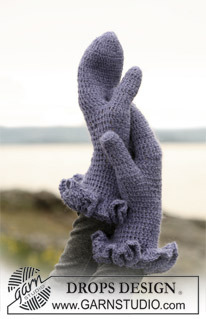 Feminine and beautiful …" Make comfortable and warm gloves to spoil yourself this season! 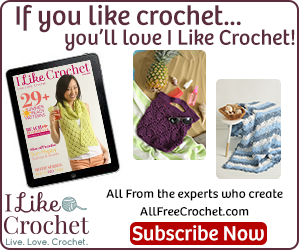 crochet hook size 3 mm – or size needed to get 24 tr x 13 rows = 10 x 10 cm. Such beautiful and cozy slippers to keep your feet stylish and warm! Soft, light, and warm, these are the perfect fall and winter accessory! 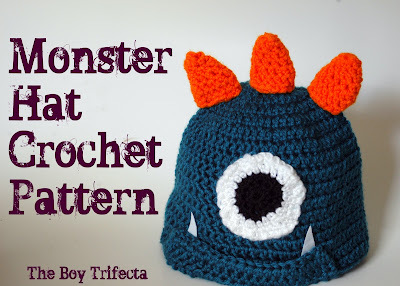 Another fun pattern! This super cool lightning bolt crochet scarf is unique and awesome! 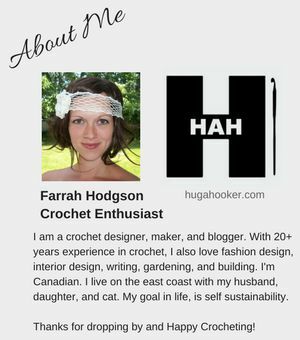 By using simple haf double crochet stitches in sections, the scarf comes alive. This makes a great Christmas gift idea. I have crocheted a lot of baby hats for my craft sale tomorrow, but I just discovered this one! I think this is adorable and hilarious at the same time! I am going to have to try this next! And I know a little boy to give it to for a Christmas present! 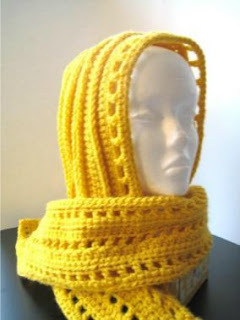 I can't wait to make this cute hat! Ever since my kitty's first Christmas, I've been buying her stockings. Pets are huge parts of our lives and families, and this cute stocking pattern is purrfect for my cat's next holiday! RED HEART® Super Saver®: 1 skein each 316 Soft White A, 624 Tea Leaf B, and 319 Cherry Red C and 312 Black for fish face D.
Give a gift with heart by filling up a home made Christmas stocking! 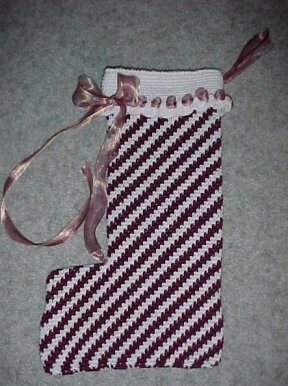 This lovely pattern uses a diagonal design with pretty ribbon to complete this elegant stocking.